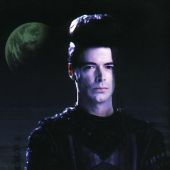 Lexx fan fiction eZine updates - Poetman's Prose - Main Lexx Discussion - You have arrived in the LEXXVERSE where the spirit of Lexx lives on. Oh yes and two new authors! Squish and Warpax! Looking forward to seeing how their stories work out! I'll also be adding some fan vids to the Forward in the future starting this week with Warpax's new YouTube Video. Warpax, Your story is kind of long so far which means it breaks down nicely into chapters I'll add the first chapter to tomorrow's issue.